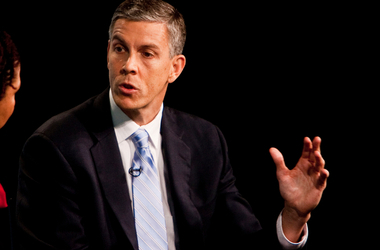 Secretary Duncan speaks on college affordability, accountability. This week, Secretary of Education, Arne Duncan, called for some changes to our nation’s current higher education system. During a speech at the University of Maryland Baltimore County, Duncan pointed to the current insufficiencies in the system that lead students to graduate in six years or more as well as rack up student debt without the means to adequately pay for it after graduation, according to a press release from the U.S. Department of Education. Duncan pointed out that about half of students that attend college do not graduate within six years. He also noted that between 2009 and 2014, spending per student at colleges and universities across the country dropped an average of 13%. And over the years, the graduation rate has decreased, while the student loan default rate has increased. During his speech, Secretary Duncan also alluded to the Administration’s current stance on for-profit schools. He said,” For millions of students our higher education system isn’t delivering what they need, or deserve. When students enroll in college, the chances of a successful outcome — getting a degree — amount to “a coin toss,” as stated by The Washington Post.